Hi all! I’m Sheena Horton, a Consultant and Project Manager for MGT Consulting Group and President of the Southeast Evaluation Association (SEA). I would like to kick off SEA’s AEA365 Professional Development Week with a few tips for more effectively managing your dreaded, bottomless email inbox! Hot Tips: Unsubscribe! Many people receive emails that they immediately and regularly delete, sometimes without even opening them, and they haven’t unsubscribed from those email subscriptions because one day one of those emails might contain something useful. While it only takes a few seconds to glance and delete a message, those seconds can add up and decrease your productivity. For an eye-opener, take a quick assessment of the number and type of emails you’ve deleted for just one day. Your time is valuable, so make sure the items you spend time on have earned that time. Unsubscribe from email lists that you regularly delete and that have not provided any value to you in the last 1–2 months. To save time, there are many free unsubscribe services available, such as Unroll.Me, Unlistr, and Unsubscriber. Consolidate, Automate, and Label! If you have multiple inboxes, consider consolidating them. Many email applications allow you to link inboxes so you only have one inbox to check. You can also automatically direct emails from your inbox into folders by type or sender to view later, allowing you to focus your attention on more immediate messages. Take the next step by using a program like Moo.do or Sortd to categorize and prioritize your incoming emails and to convert them into action lists or appointments. Create a simple labeled folder system for organizing email. Avoid overusing subfolders to reduce the chance of losing messages beneath the layers. Try to use action-oriented folder labels instead of descriptive ones (“Respond to Client”). If you juggle a lot projects, folder labels can be used to reference a contract amount or client name quickly (“State Project ($34k/Emily)”), but be careful not to create overly long folder names or your labels may be cut off and partially hidden. 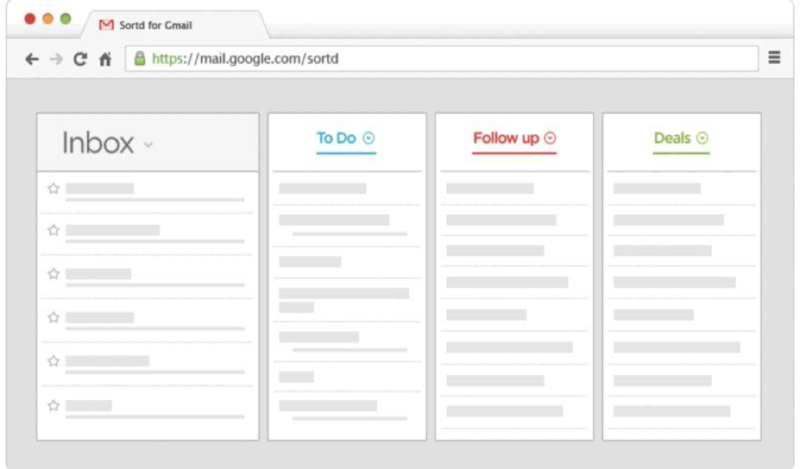 Schedule Meetings with Your Inbox and Keep Replies Simple! Turn off notifications! Nothing derails a to-do list and kills productivity faster than constantly seeing new mail alerts. Avoid being reactive to emails. When checking email, reply to messages that will take fewer than 2–3 minutes to complete and schedule a time to reply to all others by priority level. Keep your messages brief and put the most important information at the beginning of your email. Consider using the subject line to tell the recipient succinctly what the email is about and what is needed (“Subject: Draft Meeting Agenda by Monday”). To avoid tedious back and forth messages, consider skipping email for sensitive, complicated, or urgent messages by contacting the recipient in person or by phone. Finally, try not to respond to an email if a response isn’t necessary. The more email you send, the more you get. The American Evaluation Association is celebrating Southeast Evaluation Association (SEA) Affiliate Professional Development Week with our colleagues in the SEA Affiliate. The contributions all this week to aea365 come from SEA Affiliate members. Do you have questions, concerns, kudos, or content to extend this aea365 contribution? Please add them in the comments section for this post on the aea365 webpage so that we may enrich our community of practice. Would you like to submit an aea365 Tip? Please send a note of interest to aea365@eval.org. aea365 is sponsored by the American Evaluation Association and provides a Tip-a-Day by and for evaluators. Great contribution. Thanks for the highly productive tips, especially for the list of unsubscribe support tools! I’ll be using that immediately.